Just a quick reminder for next week, since we last reported on it in July. The new media show, erm, called The Media Show, will start on BBC Radio 4 from October 1. It will look at the media world across print, TV, online and telecommunications. It will go out live each Wednesday at 1.30pm. We’re looking forward to it – let’s hope it has a good online presence too (especially because we’ll be at the AOP conference that day. While it’s possible to Twitter discreetly, it’s not so easy to listen to the radio). 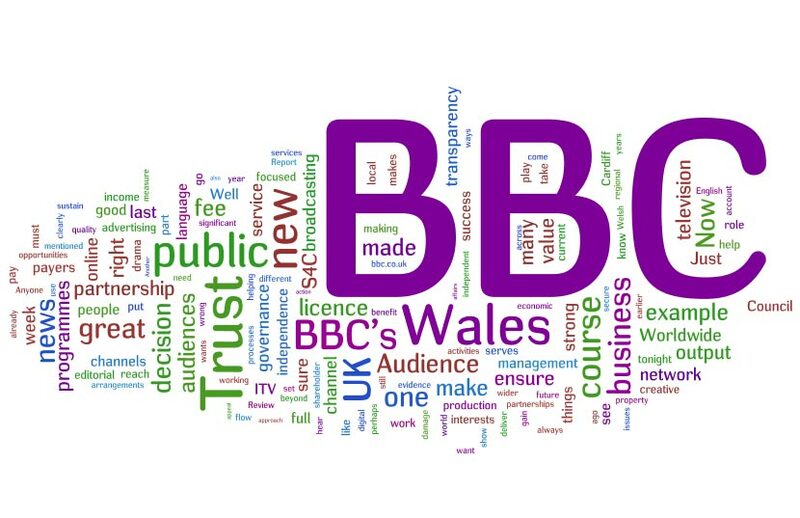 The original BBC press release can be read here. This entry was posted in Broadcasting and tagged BBC Radio, BBC Radio 4, media world, online presence, Radio 4, telecommunications, the media show, Twitter on September 24, 2008 by Judith Townend. Normally, a young reporter’s first steps into the media world might be a stint of work experience; the dramatic peak might be an exciting court case. Not so for Russell Sharp: his first job in the media was to enlist in the British Army and go undercover for six months, to report on the bullying, for a BBC documentary. It made remarkable viewing last night. The film showed Sharp’s fear at being discovered by his fellow recruits and superiors as he secretly filmed them during training. The racism and bullying he witnessed was shocking – it’s been documented here at the BBC website. As numerous papers reported, five suspensions of army instructors have since been made – it is unclear how many are a direct result of allegations made by the BBC. Yet BBC1’s unusual documentary ‘Undercover Soldier’ got the worst broadcast figures for the slot since June 2006 despite its controversial subject matter. It started with 2.6m (10.1%) watching, and then slowly declined to 2.3m. Even Ann Widdecombe and the girl gangs, over on ITV did better than that. Why the low ratings? Was it because they didn’t send out preview copies, or that it was a last minute addition to the broadcast schedule? Or was the viewing public just not interested? 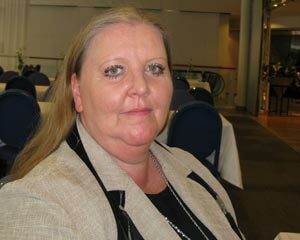 This entry was posted in Broadcasting and tagged ann widdecombe, BBC, British Army, ITV, media world, Russell Sharp, undercover soldier, Undercover Soldier Normally, young reporter on September 19, 2008 by Judith Townend. Thoughts from the Ethnic Media Summit: where do we go now? One of the speakers Claude Grunitzky talked about how the UK in 1996 had been a great place to be, to launch his magazine TRACE. Now, returning from the US – where he heads the TRUE Agency and the US edition of TRACE, and another publication TERRACE – he is not sure how much things have moved on. He went so far to say that the UK could be about 20 years behind in terms of ethnic representation in media. Ouch. 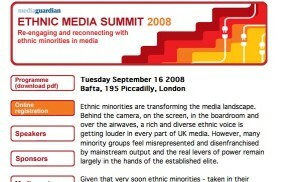 While many of the speakers focussed on the exciting times ahead for connecting with ethnic groups through social media (as we reported yesterday, Ofcom has found that the four main ethnic groups in the UK are using digital and online media more widely and diversely than the general population) there still seemed to be this pervading sense that some things hadn’t quite moved on. News reporter Samira Ahmed, interviewed fellow Channel 4 colleague Aaqil Ahmed over his new appointment as the channel’s commissioning editor for religion and multicultural programming. Her questions seemed to be weeding out whether this, too, might be a step backwards? After all, hadn’t the keynote speaker, Trevor Phillips, chair of the Equality and Human Rights council, just said that terms like ‘multicultural’ were dead? His advice, however, to young people from ethnic groups is to make other kinds of films before they try and reflect specific religious or ethnic content. He also cited BBC’s ‘Who Do You Think You Are?’ as one of the best multicultural programmes on television. Various panel debates, with some big names in the ethnic (and mainstream) media world, discussed just exactly where we’re at, in terms of ethnic media: that’s on screen and off. Debates flitted between portrayal, participation and recruitment. It seems one feeds into the other. Although actress and comedian Meera Syal and Observer news editor Kamal Ahmed didn’t show up, there were a host of other interesting people to listen to, among them: a panel of inspiring young people who have been involved in Live magazine through the Livity project; Leslie Bunder the founder of the SomethingJewish network (pictured above, courtesy of Richard Cooke, Guardian News and Media); Parminder Vir OBE, the award winning film and television producer; Joseph Harker, assistant comment editor at the Guardian; and Jay Kandola, director of acquisitions at ITV (but also previously at BBC, Channel 4 and 5). Blogger and Asians in Media editor, Sunny Hundal, managed the proceedings, with lots of his own questions thrown in. 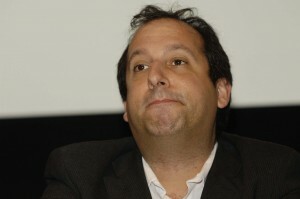 Guardian.co.uk editor-in-chief Emily Bell joked that Comment is Free would be very quiet with Sunny’s absence for a day. 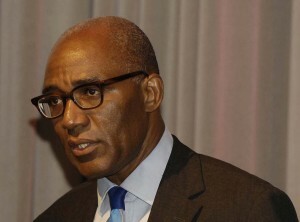 Trevor Phillips’ keynote speech (pictured below, courtesy of Richard Cooke, Guardian News and Media) made particularly interesting listening: you can read the Guardian’s coverage here. So: will things have moved on by next year? The big questions raised were how to best monetise ethnic media, do terms like ‘multicultural’ have a role in ethnic media, and how do you penetrate mainstream media with its very narrow horizons? Some speakers said that there was no point just replacing white, socially well-off, Oxbridge males with Oxbridge socially well-off males from ethnic backgrounds – issues of class representation were raised too. In the very last panel debate about digital reinvention, Milica Pesic, from the Media Diversity Institute raised a good point: what’s the point of a panel all agreeing with each other? Next time, she wants the culprits who consistently misrepresent ethnic groups in the media up on the stage too. Hear, hear, I say. Let’s get the editor who commissioned the story about Polish people hunting swans up on the stage with the editor of Polot.co.uk, Julita Kaczmarek, and really get the debate going. Finally, a small point picked up from Norrie, a blogger from Leith FM, a Scottish community radio station. He was invited to the Guardian’s Ethnic Summit too, but found the pricing scheme (even at the cheapest rate it was £364 per person) a little bit off-putting and not quite as inclusive as you might expect from an event about, well, inclusion. This entry was posted in Events, Online Journalism and tagged Aaqil Ahmed, actress and comedian, assistant comment editor, BBC, Chair, Claude Grunitzky, commissioning editor for religion and multicultural programming, digital and online media, director of acquisitions, editor, editor-in-chief, Emily Bell, Equality and Human Rights council, ethnic media, ethnic media summit, film and television producer, GBP, Guardian.co.uk, ITV, Jay Kandola, Joseph Harker, Julita Kaczmarek, Kamal Ahmed, keynote speaker, Leith FM, Leslie Bunder, mainstream media, Media Diversity Institute, Media editor, media world, Meera Syal, Milica Pesic, news reporter, Observer news editor, Parminder Vir OBE, Polot.co.uk, Richard Cooke, Samira Ahmed, social media, SomethingJewish, Spectrum Radio, Sunny Hundal, television producer, The Guardian, TRACE, Trevor Phillips, TRUE Agency, United Kingdom, United States, Who Do You Think You Are? on September 18, 2008 by Judith Townend. The Chicago Tribune’s move into the social media world of Facebook, YouTube and Twitter has result in an 8 per cent rise in page views. This entry was posted in Editors' pick and tagged Chicago Tribune, Facebook, Huffington Post, media world, social media, The Chicago Tribune, Twitter, YouTube on August 15, 2008 by Laura Oliver.